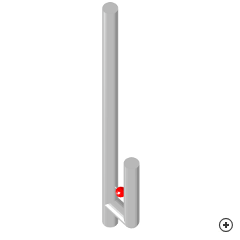 Image of the J-pole antenna. The J-pole antenna is a wire antenna with a form that resembles the letter "J" and performance similar to that of a wire dipole antenna. 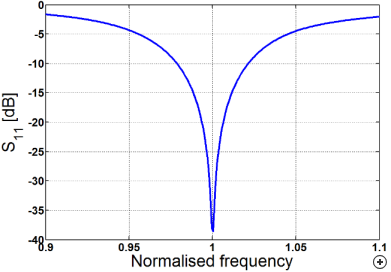 In its most basic form it is defined as a half wavelength antenna with a quarter wavelength matching stub. 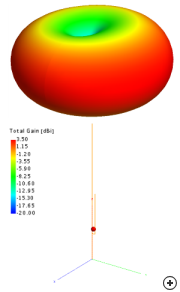 Similar to a dipole, the J-pole has an omnidirectional radiation pattern. It is sometimes referred to as an end-fed Zepp; a reference to the antennas used on the Zeppelin dirigibles in the 1930's. 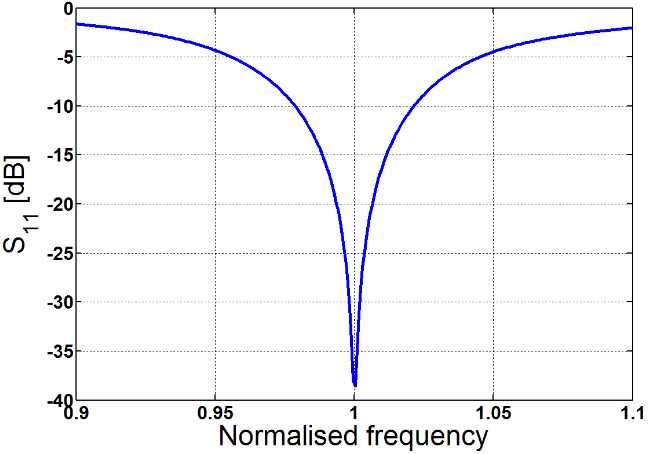 The J pole has a fairly narrow impedance bandwidth, ranging from 3% to 5%. The radiation pattern is similar to that of a dipole, with slightly more gain.